Earn $6.37 in VIP credit (637 points)What's This? 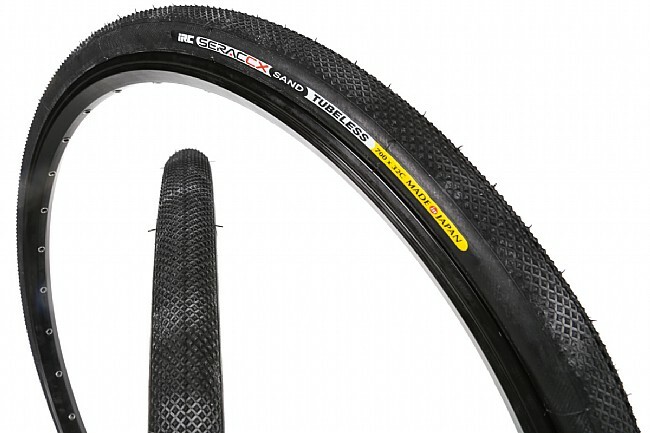 IRC's Serac CX Tubeless Cyclocross Tire combines a supple tubeless casing with sticky rubber to make an excellent race option without the hassle of traditional tubular tires. This Sand model has a file-tread design that provides lots of contact area for hard pack or grassy conditions, and its low profile also helps the tire stay afloat over sandy terrain. 700c x 32 mm. Claimed weight is 380 g. Made in Japan.